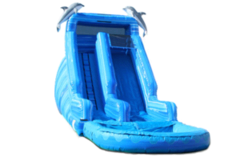 Is one of the largest party and inflatable rental companies in the East Valley and Arizona. 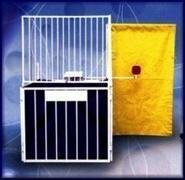 Backyard Bounce AZ is a licensed and insured full service party rental company. 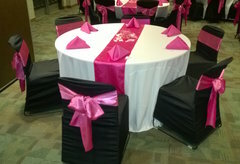 We allow one stop shopping for all of your party needs. Backyard Bounce AZ proudly serves the following cities: Mesa, Phoenix, Scottsdale, Tempe, Chandler, Gilbert, Apache Junction, Queen Creek, Paradise Valley, Guadalupe, Fort McDowell, Fountain Hills, San Tan Valley and Ahwatukee. Backyard Bounce AZ has been family owned and operated since 2011. 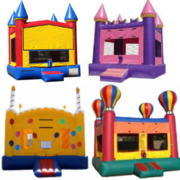 Backyard Bounce AZ offers a large variety of equipment to meet all your party needs. 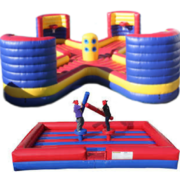 We have Inflatable Bounce Houses, Inflatable Jumpers, Inflatable Moonwalks, Inflatable Water Slides, Inflatable Dry slides, Inflatable Bounce and Slide Combos, Dunk Tanks, Inflatable Joust Arena, Inflatable Water Balloon Battle, and Run, Inflatable Tug and Dunks for rent! In addition to inflatables we offer Concession Machines such as Pop Corn Machines, Cotton Candy Machines, Snow Cone Machines, as well as Tables, Chairs, Table & Chair Linens, Portables AC Coolers, Portable Heaters, Generators, Canopies and more for rent!! Step 3: Check out, Fill out your information and receive the instant email verification! 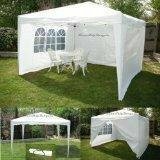 Backyard Bounce AZ is a licensed and insured full service party rental company, We allow one stop shopping for all of your party needs. 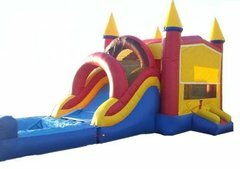 They are known by many names: bounce houses, moonwalks, jumpers, bouncers or even bouncy castle. We call them a great time and we have a great selection with all of your favorite characters. We also have inflatable slides, water slides, tables and chairs, patio heaters, and concessions including: popcorn machines, snow-cones and cotton candy. So whatever you want to call them...give us a call or reserve on-line and assure a great time for all. Whether you are having a small party or large get together let our professional staff at Backayrd Bounce AZ service your next event.